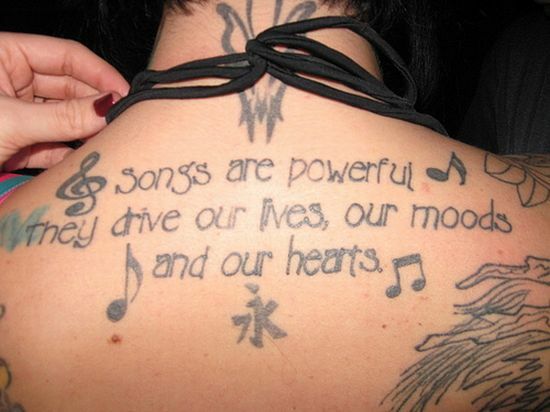 âSongs are powerful. They drive our lives, our moods and our hearts.â All those music fans out there surely understand what it means. Passion for music or anything can make people go crazy. Meet music and tat too fan, which has got this tattoo to express her true love for music. ← ‘Forgive me’ tattoo : I’m really sorry!